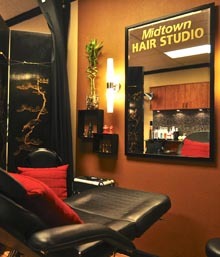 Welcome to Midtown Hair Studio! We are a family friendly salon with locations in Midtown Palo Alto on Middefield Road and our New Location in Los Altos on El Camino just North of San Antonio Road (see our Locations page for more details. Walk-ins are welcome and appointments are also available. Thank you for visiting our webpage. See you in the salon! Copyright © 2019 Midtown Hair Live Site. Powered by WordPress. Theme: Spacious by ThemeGrill.